Congratulations to Carly Moser and Kelly Caravella! The NDD Lab is celebrating a two important graduations this fall! 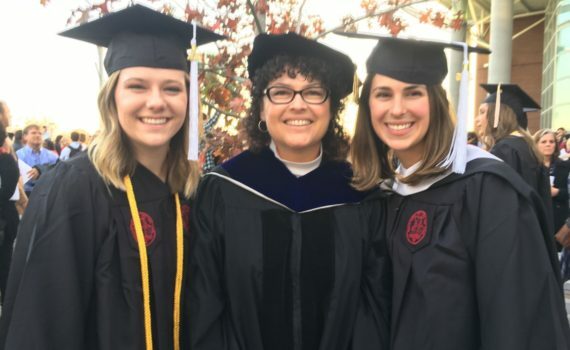 Carly Moser has successfully completed her undergraduate degree in Psychology at USC and she will continue to work at our lab as an integral member of our assessment team! Kelly Caravella is currently a Clinical-Community Ph.D. student who has just received her Masters of Arts degree this month! She will continue her doctoral studies while working in our lab as a primary assessor. Congratulations to both of them and we are lucky to have them here in the Neurodevelopmental Disorder Lab!